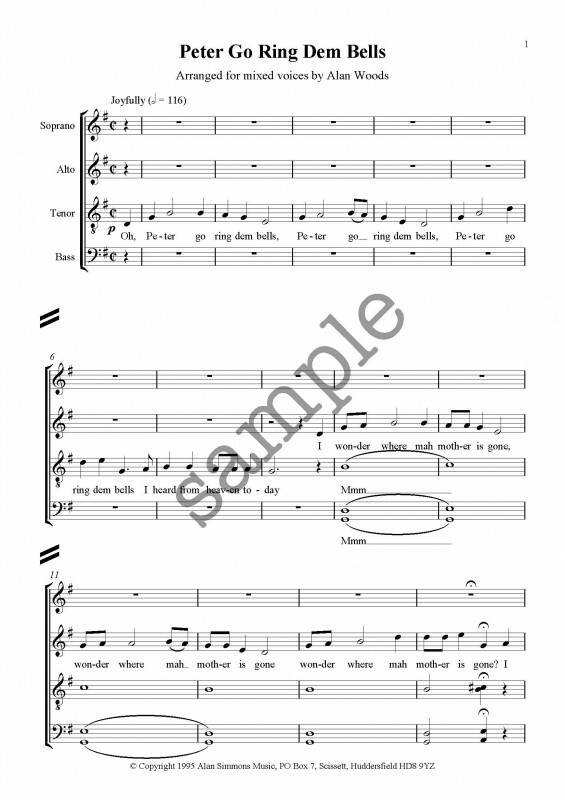 Tags: A Cappella, Difficulty Level 3, Hymns & Spirituals. 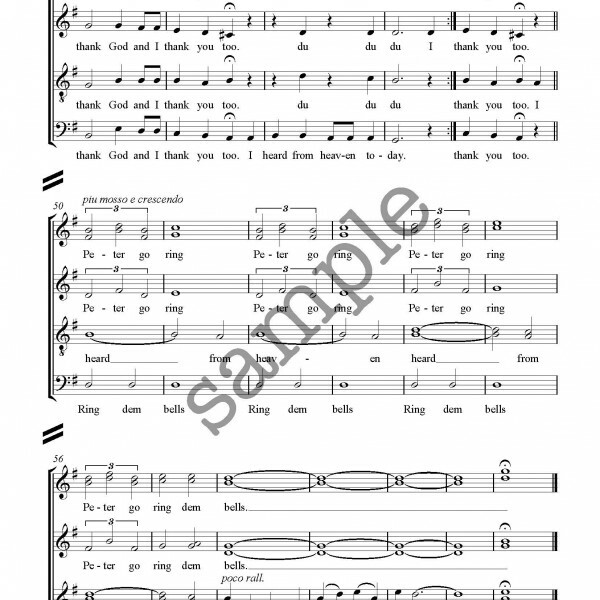 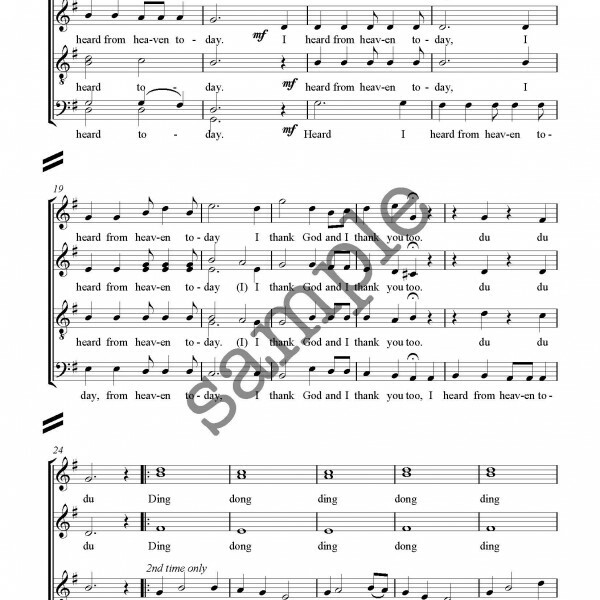 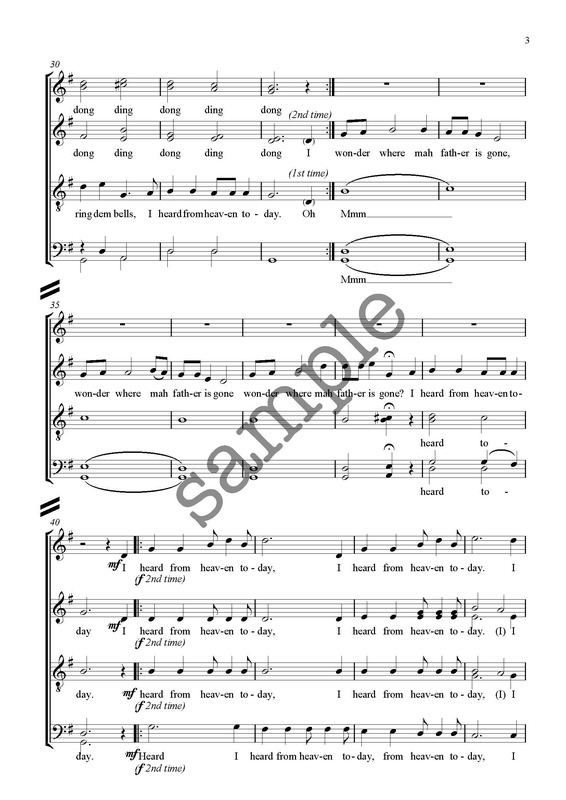 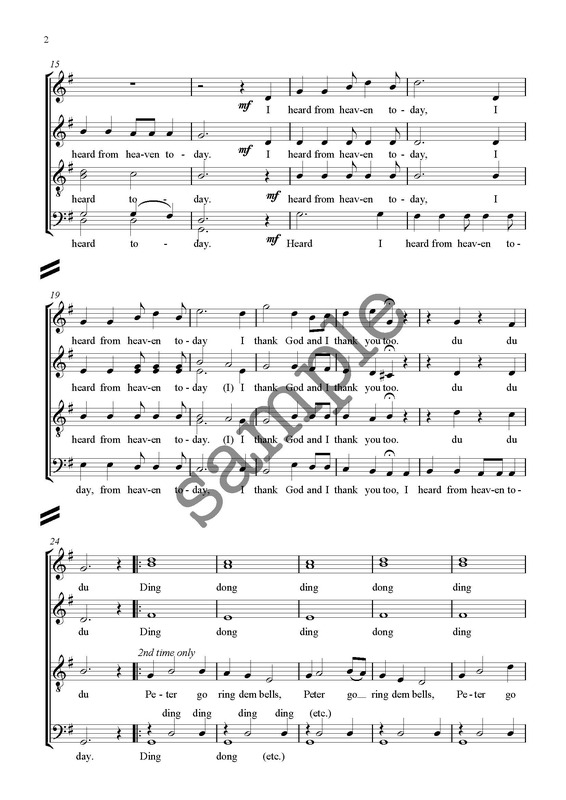 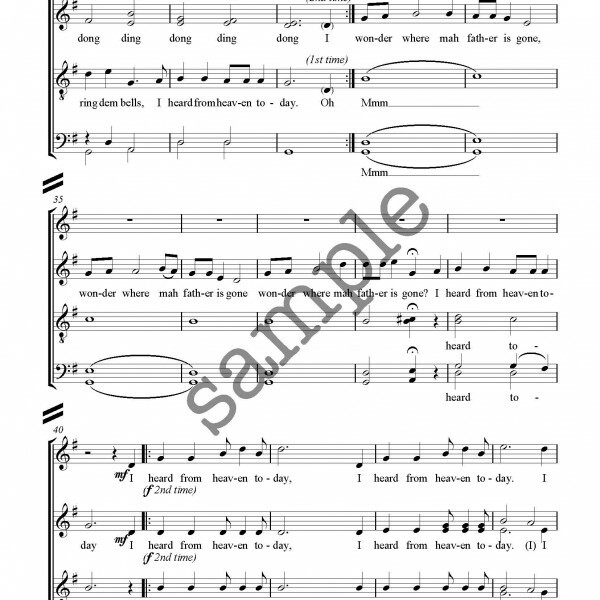 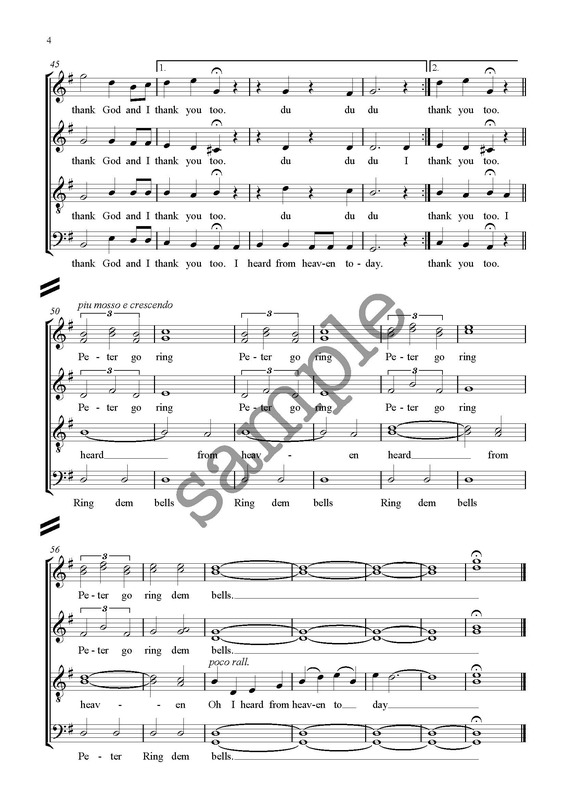 Popular spiritual for choirs, this fast paced song shares the tune between the different voices. 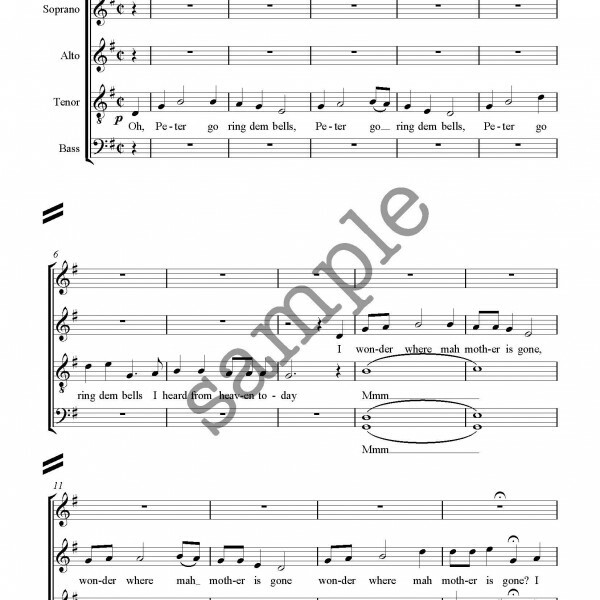 This is a fun piece to sing that will lift your concert and leave your audience speechless and your choir breathless!